Look through the anti-reflective lens and align the red dot with a target. 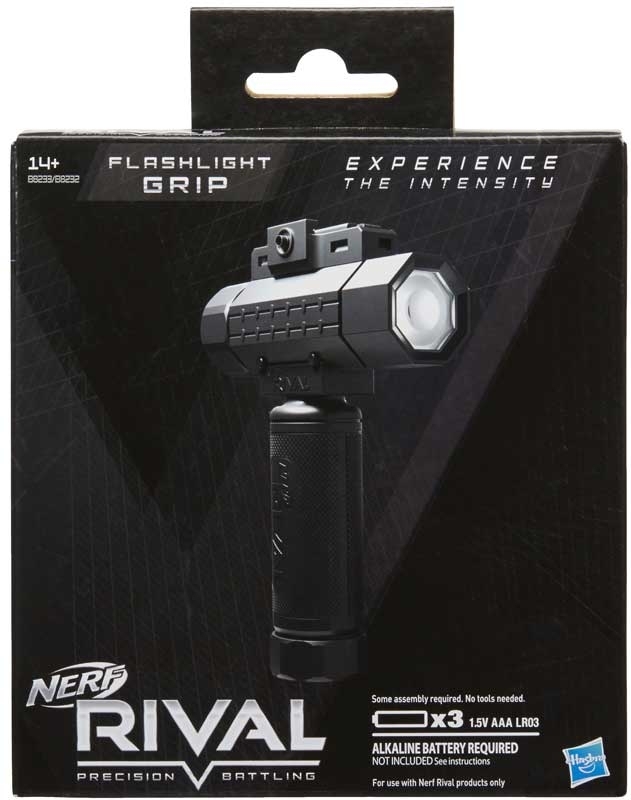 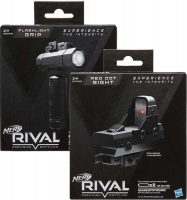 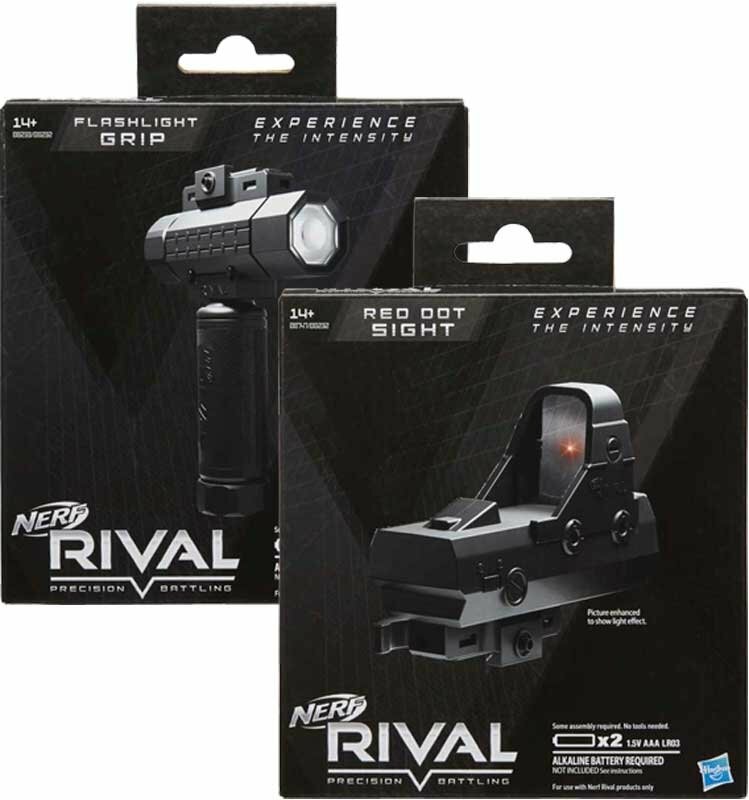 The Flashlight Grip has an LED light, to illuminate the battle action. 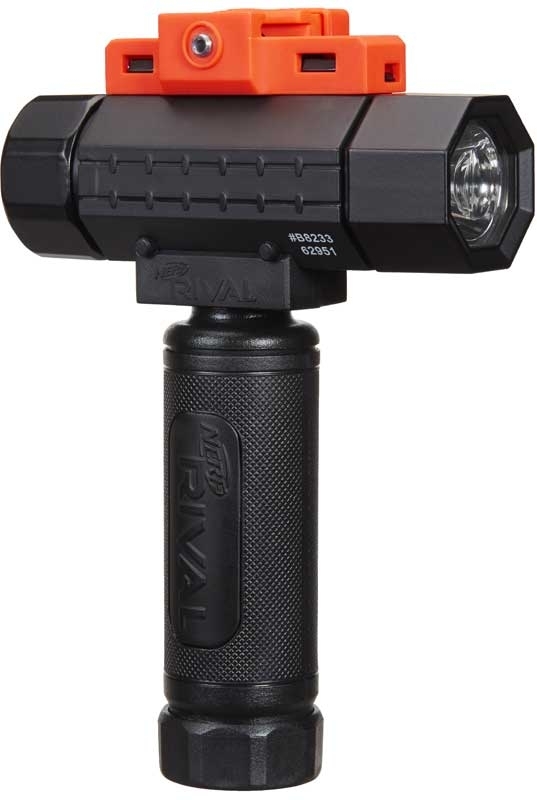 The grip is removable, allowing the flashlight to be used separately. 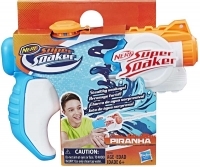 A quick-release camlock lets battlers easily attach and remove the flashlight from their Nerf Rival blaster. 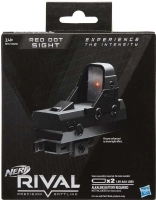 Look through the anti-reflective lens and align the red dot with a target. 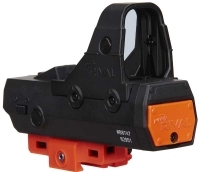 The sight is adjustable and features, die-cast details. A quick-release camlock allows battlers to easily attach and remove the sight from their Nerf Rival blaster. 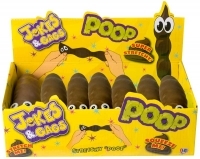 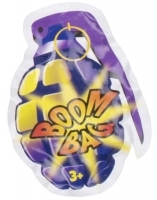 Please Note: *This product is sold assorted, items may vary from illustration.